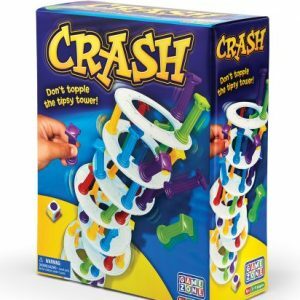 A unique block stacking game for all ages. 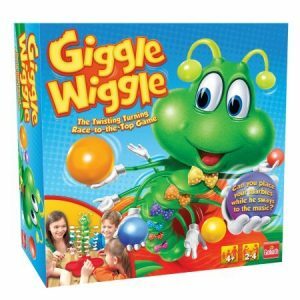 Challenging and Exciting. 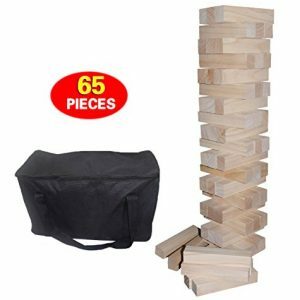 Classic Jenga Stacking Game – Includes 5 Bonus Dice! 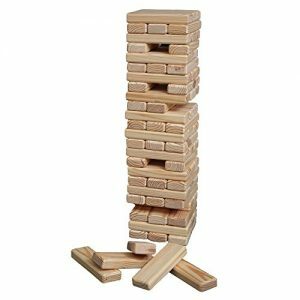 Jenga is a game of block-building, tower-crashing fun. 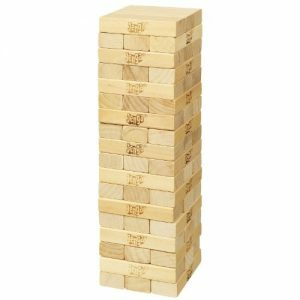 To start, build a tower from the hardwood blocks. 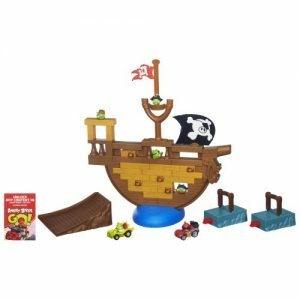 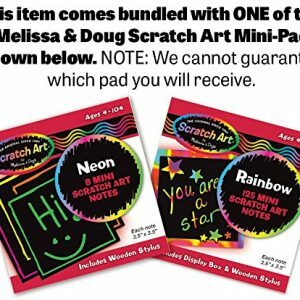 ONE FREE Melissa & Doug Scratch Art Mini-Pad is bundled with this item. 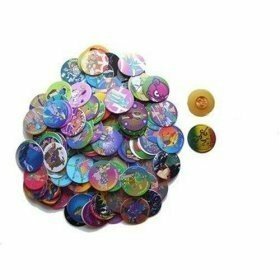 The style of the mini-pad you receive is randomly picked. 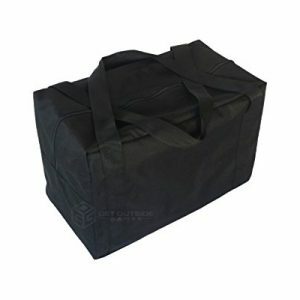 [SAVE MORE with our Limited Time SPECIAL OFFER. 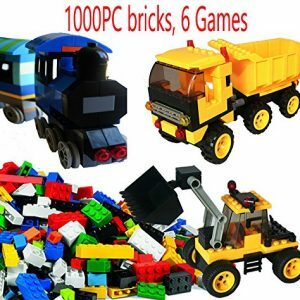 Scroll down to claim your Coupon Code.] 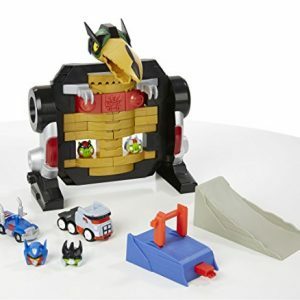 THE ULTIMATE FAMILY PULL AND STACK GAME: Spending quality time with our families and friends is literally priceless! 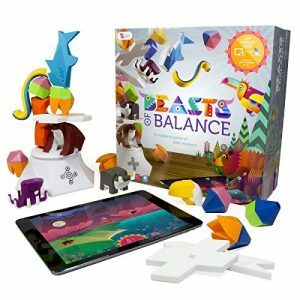 If you have been looking for an enjoyable way to spend your leisure time and have a good laugh with your beloved ones, this block stacking game is a must have for you! 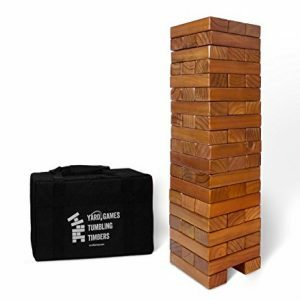 60 HIGHEST QUALITY, SOLID WOOD BLOCKS: This game includes 60 blocks which are made of New Zealand pinewood. 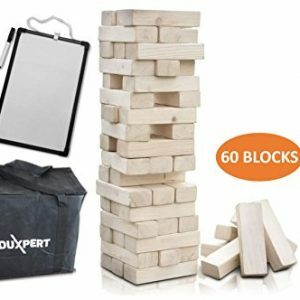 The pest control certificate assures the finest quality, while the smooth finish of the blocks will allow you to effortlessly and smoothly pull them out, beating your record every time you play! 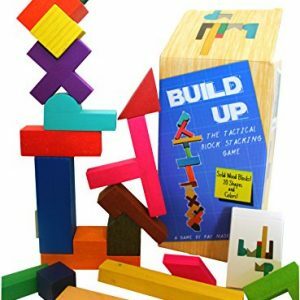 HAVE THE BEST OF TIMES AND DEVELOP SEVERAL SKILLS: Apart from being extremely fun, this amazing giant wooden tower blocks can help you develop your fine motor skills, improve your hand-eye coordination, enhance your balance, become more patient and acquire excellent self-control. 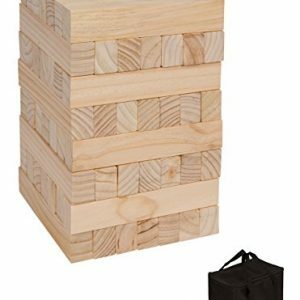 MORE BLOCKS – 60 High Quality 7″ x 2.5″ x 1.25″ Pine Timbers. 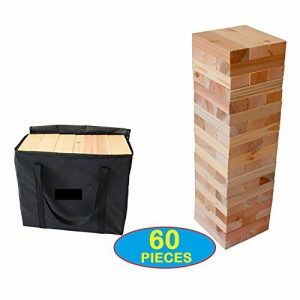 JUMBO SIZE – 60 Blocks making 20 Rows – Starts Over 2ft and Grows to Over 5ft Tall. . 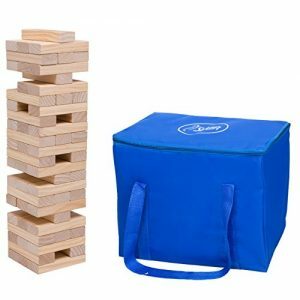 PLAY ANYWHERE – The Perfect Game for Any Outdoor Event, Party or Tailgate. 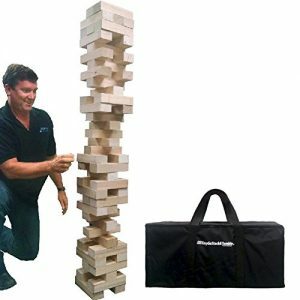 Giant blocks for additional fun with your family and friends – great for housewarming parties, tailgating, birthdays, holidays, etc. 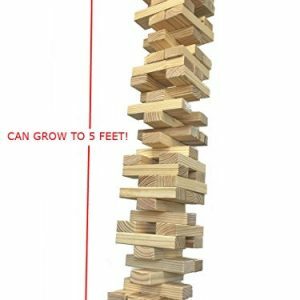 JUMBO SIZE – 60 Blocks making 20 Rows – Starts Over 2ft and Grows to Over 5ft Tall. 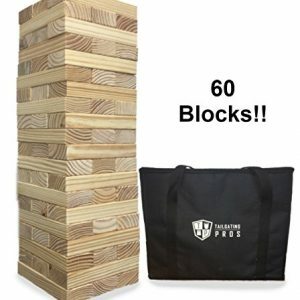 MORE BLOCKS TO STACK – 60 High Quality 7″ x 2.5″ x 1.25″ Pine Timbers. 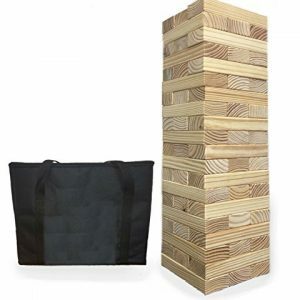 HIGH QUALITY TOWER – Includes Robust High Density Carrying Case – Block edges are smooth to allow for a safe, easier grip. 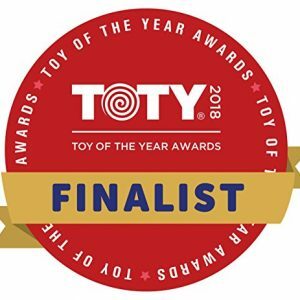 There’s pandemonium on the farm! 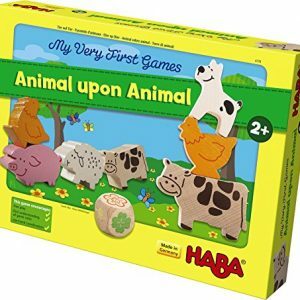 Who can stack the hen on top of the sheep? 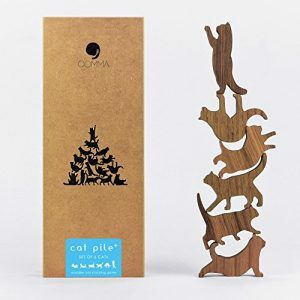 And is there any space left for the dog? 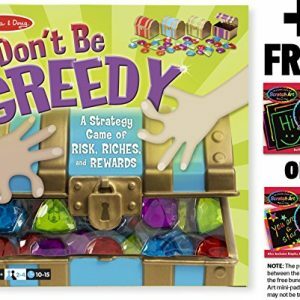 Includes 2 stacking games and a co-operative game variation for 1-4 players.